We’re giving away TWO BOUQUETS OF LANDEAU ROSES my friends!!! This giveaway is enough to make anyone swoon, these flowers are as perfect as they come and will be delivered to TWO of your doorsteps after this giveaway! I made this Naked Gingerbread Cake with Cream Cheese Icing for the sweetest, most generous and talented person I know for her birthday (TODAY! ), my cousin and best friend Jillian! 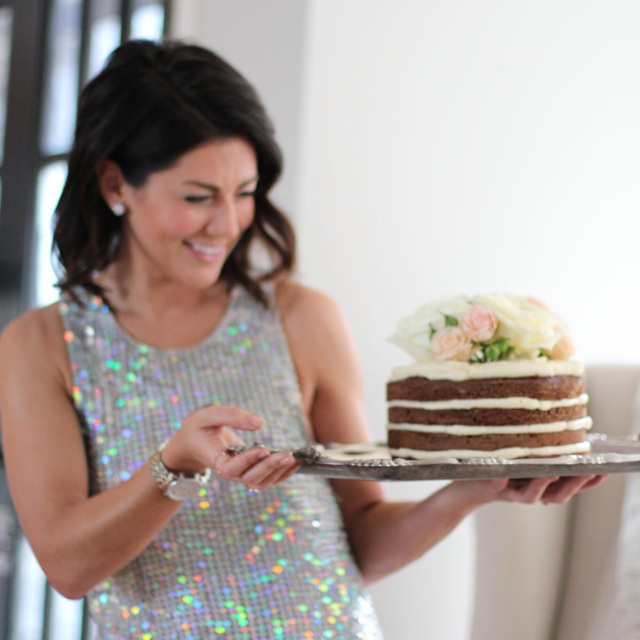 Of COURSE her dress matched the cake – how perfect!!! Sigh, can she get any more gorgeous? I simply love this human so much my heart could burst!